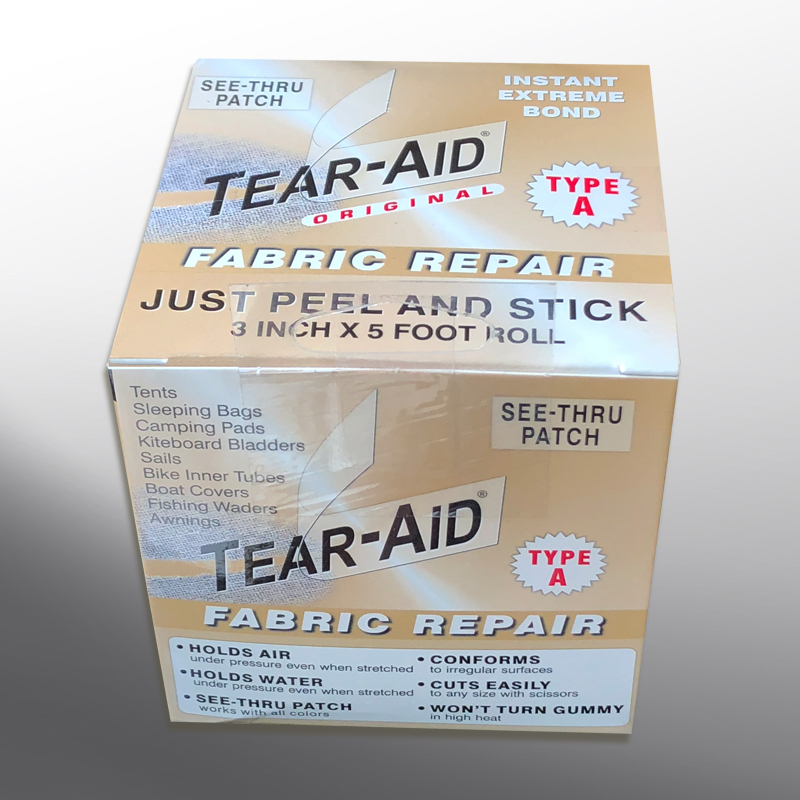 Tear-Aid® is made in the USA and provides an instant bond that holds air or water. Tear-Aid is made in the USA and provides an instant bond that holds air or water and is used to repair minor tears, holes or punctures. It's easy to cut, conforms to irregular surfaces and won't turn gummy. Tear-Aid Type A is applied to Plastics, Polyethylene, Polypropylene, Polyurethane and Hypalon (Do not apply Type A to vinyl). If the top layer of the product you are repairing is any of the listed materials you will use Type A. Call CBC at 608.273.9661 for pricing and to help ensure that your damage is repairable. 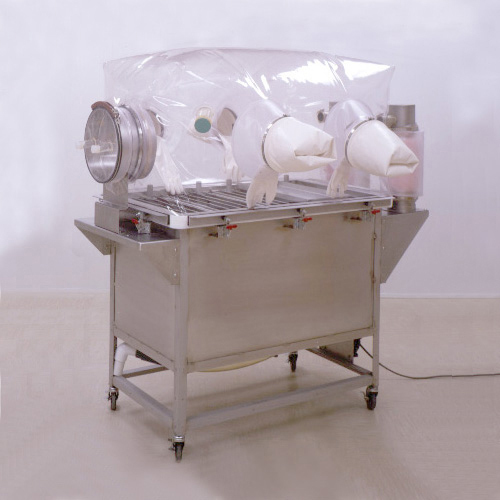 "Starter Lab" isolator systems provide researchers compatibility, quality control, quicker installation, better traceability and easier reorders! 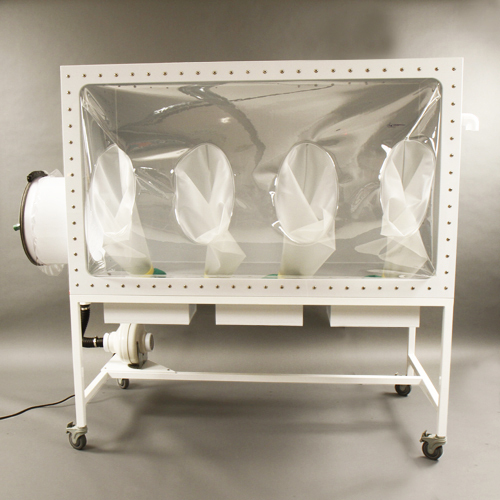 Maximizes lab space while offering researchers two independently controlled environments for gnotobiotic research! 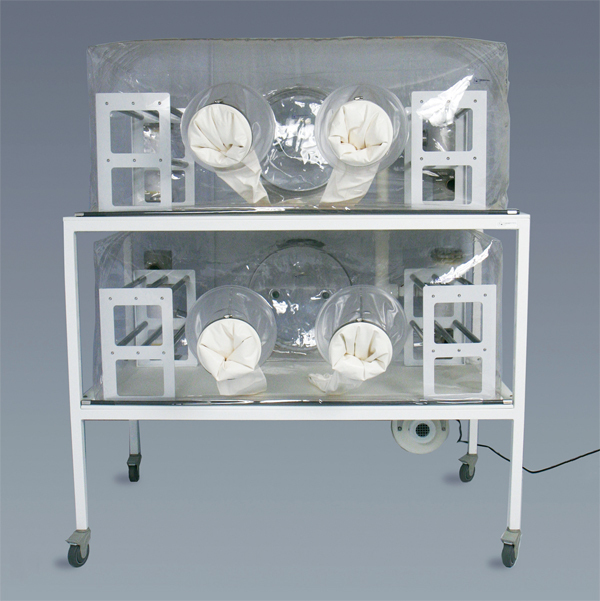 Four (4) independent isolators in one footprint allows you to conduct four different experiments at one time. 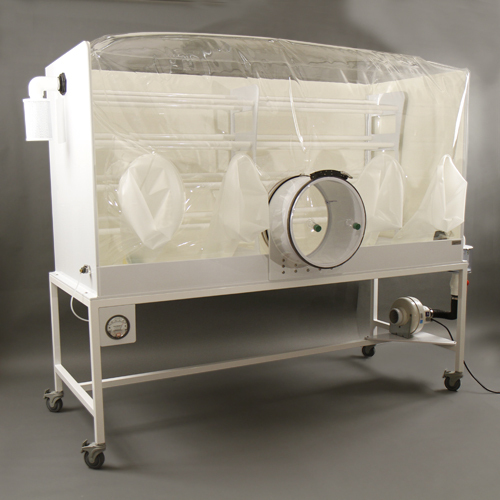 Breed your own colony of germ-free rodents with 32- or 50-cage germ-free, flexible film, breeder isolator. 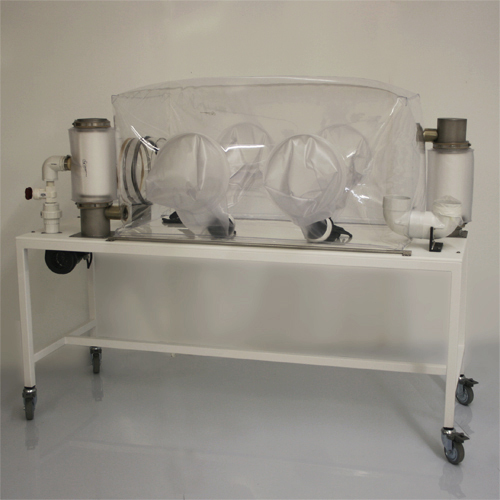 For transporting animals within a lab or as a quarantine isolator when adding new animals to the colony. 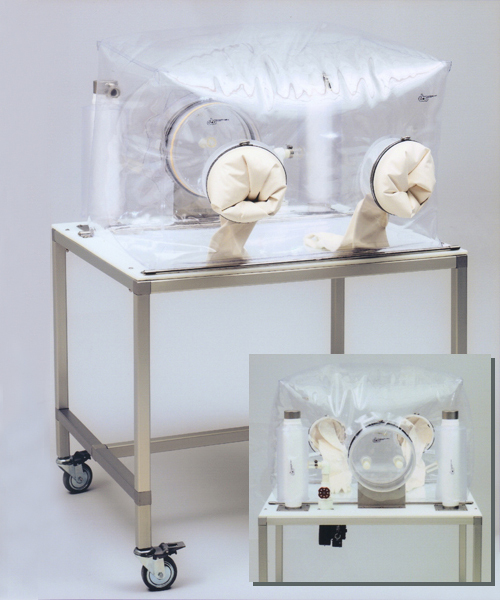 Surgical isolator systems come with a pair of 12" diameter glove sleeves on both sides of canopy with 12" transfer port on end. 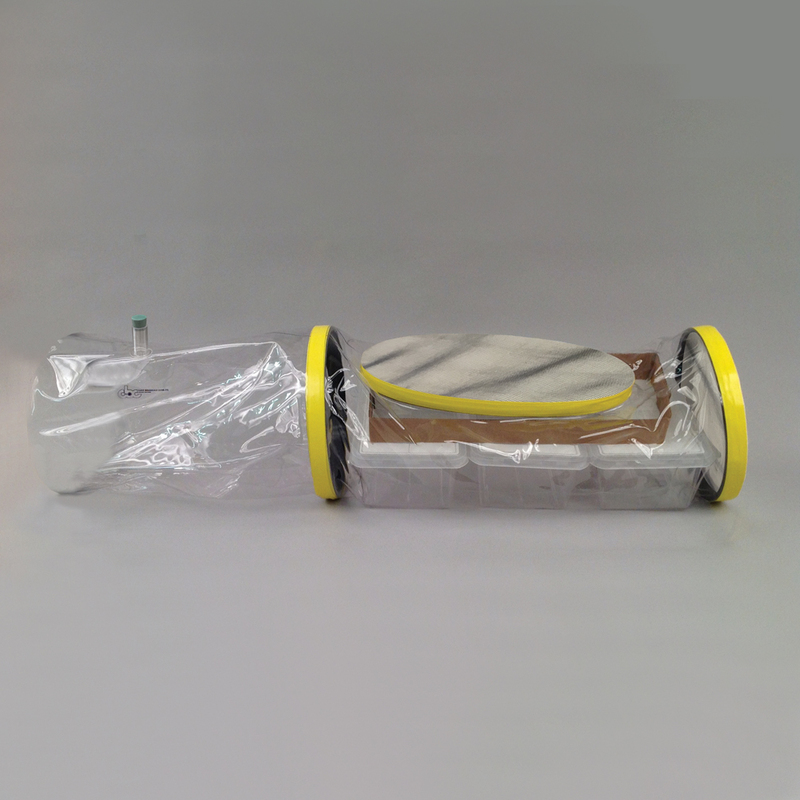 Both negative pressure and positive pressure isolators. Suitable for up to 4 piglets. Other sizes for poultry and calves. Made with durable polypropylene and an expandable urethane glove panel. Choice of conventional style port that uses flexible film caps or an acrylic clamping door system. 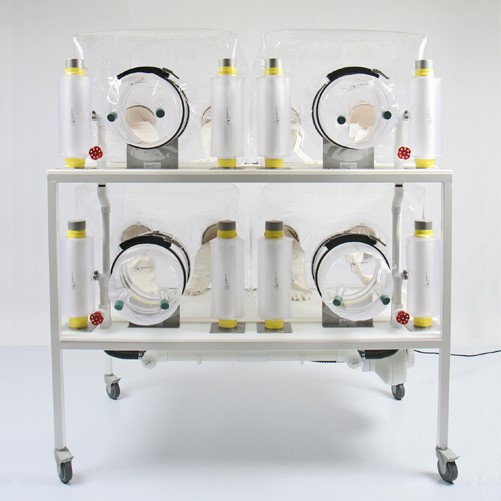 Designed to preserve the germ-free or gnotobiotic health status of animals (mice and rats) during shipping. High quality and a great value! 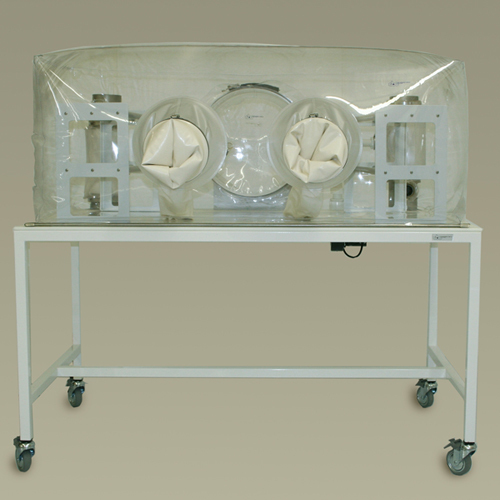 For more information, fill out the form below or call 608.273.9661 to learn more about CBC flexible film isolators for a sterile or microbially-controlled laboratory environment. © 2017 Class Biologically Clean, Ltd.